"Red Beard" is a film that reminds one that the distance to be travelled is far longer than the distance that was already covered. Not only in the case of medical studies, which happened to be the professional field of the protagonist of the movie, but also in the whole gamut of activities of all people in this world: in their professions, in arts, in sports, in literature, in studies, in knowledge and in case of anything and everything, the unknown is several times more than the known and is spread like a vast ocean. This realisation is the essence of this Kurosawa Movie. Most of the humans are trapped in the notion that there is nothing more there to know and everything about them is perfect. It is nothing but a by-product of a form of emotional weakness. When the world is shrinking to one’s own self, people tend to have a wrong conviction that there is nothing beyond the limits they have set for themselves and even if there is something, it is not worthy compared to the things they have known or earned. It is hard to come out of that marshland. Every step one takes there is digging into one’s own self: into the depth of their own ignorance and pride. Consequently, happiness means to be in that marshland instead of making efforts to come out of it. And most people enjoy their life in this marshland. The young doctor named Noboru Yasumoto was also meant to fall into the depth of that marshland unless for his encounter with Red Beard- an ordinary village doctor who was as tough, strict and immobile as a hard rock- who became the escape velocity for Yasumoto that overcame the gravitational force of temptations he was subjected to. His transfiguration was the end result of numerous clashes and conflicts between unaccommodating views, cultures and tastes- and not that of the simplicity of a flower that blooms overnight. His survival was achieved through passionate struggles that lasted many seasons. Yasumoto was a fashionable urban youth against the middle aged Red Beard who did not stand out from other villagers. The dichotomy of their conflicts becomes the occupation and conquest of city over the village, youthfulness over middle age, modern over primitive and fashionable over dated. Since the young, hip, urban and modern always had an advantage in these duels, Yasumoto inclined to have a belief that he has nothing to learn from Red Beard: the aged and out-dated doctor from a nondescript village. The majority of people, even now, has this viewpoint. The knowledge in medical science that Yasumoto learned from Red Beard was nothing more than what he already acquired from the enormous reference volumes in the University libraries. What he really learned from that aged doctor in an ordinary clinic of that dark Japanese village was nothing but life itself. They were the breakdowns and silences and consolations and smiles and laughter of several fresh life situations. The unpredictability of the moment ahead enhanced the curiosity of being in those very moments. And when looked back after a moment, that growing curiosity turned into amusement or sadness. The young doctor, seasoned by the persisting and different trials and tribulations he underwent while reading through those test books, which were nothing but the very lives of the people in that village, gradually came closer to the transfiguration: Red Beard. 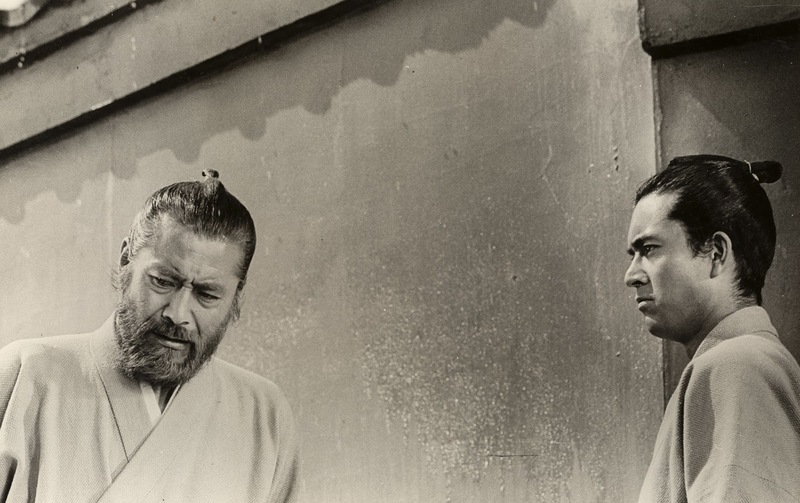 Toshiro Mifune had a tremendous screen presence as Red Beard. Yuzo Kayama did a masterly work by personifying Dr. Noboru Yasumoto’s character. 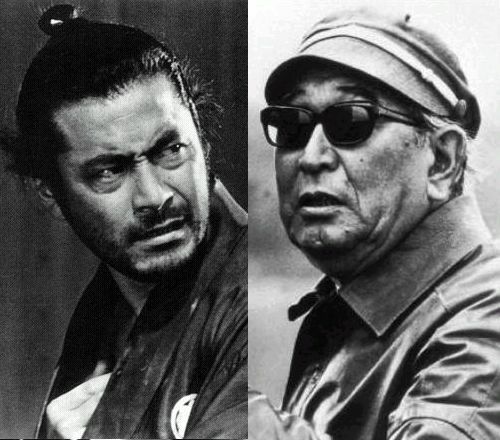 The tie-up between Akira Kurosawa and Toshiro Mifune was always a prominent Director-Actor combination in the history of world movies. A combination of seventeen years from "Drunken Angel" to "Red Beard" had resulted in sixteen world renowned movies like "Rashomon", "Seven Samurai", "Throne of Blood", "Yojimbo", etc. This kind of other well-known Director-Actor combinations can be seen in world movie history. Bergman had an eventful thirteen movie cooperation with Max Von Sydow in movies such as "The Seventh Seal" and "The Virgin Spring". DiCaprio’s collaboration with Scorsese, which elevated him to the stature of an actor from a mere romantic hero, is also one such tie-up a serious movie lover can look forward too. Kurosawa repeats the magic of static frames in this film too. Red Beard is also philosophical like Rashomon, which exposed the momentariness of various possibilities of truth and lies and like Ran, which pursued the insignificance of authority and life. It is a film that influences the viewer to encounter the life head-on and to learn living from other lives. Because of this, Red Beard can be viewed, without doubt, as an ever inspiring timeless movie.